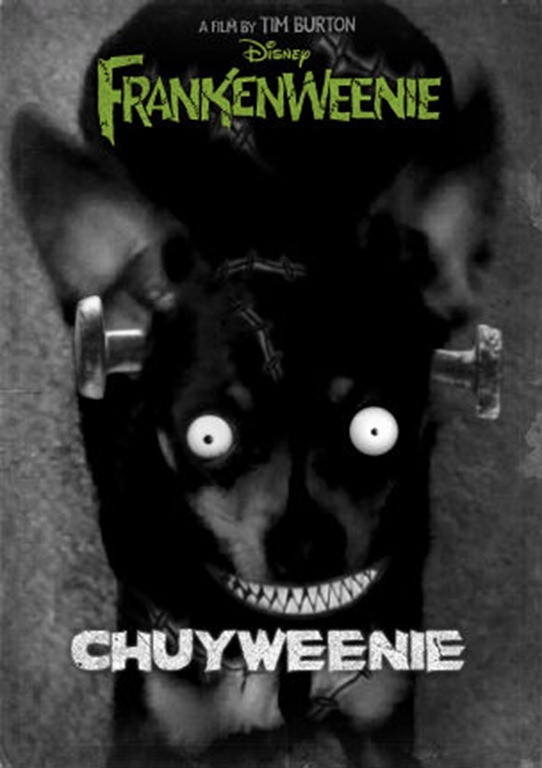 This Friday, October 5th Frankenweenie hits the theatres! 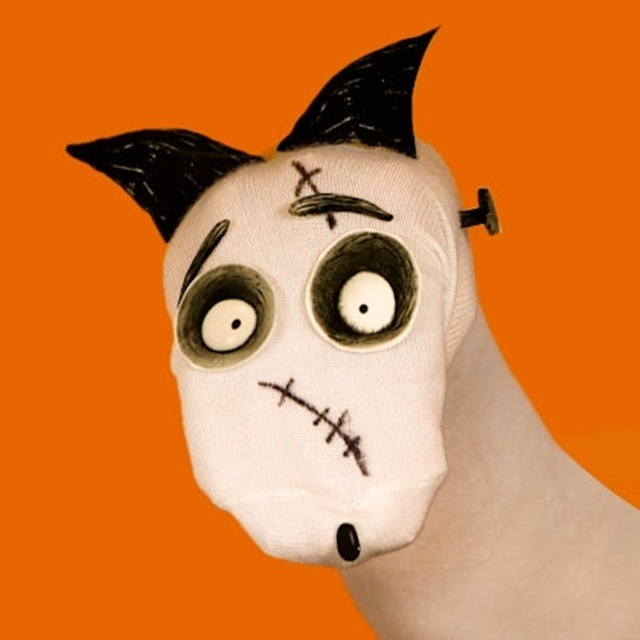 In Tim Burton’s Frankenweenie, young Victor conducts a science experiment to bring his beloved dog Sparky back to life, only to face unintended, sometimes monstrous, consequences. 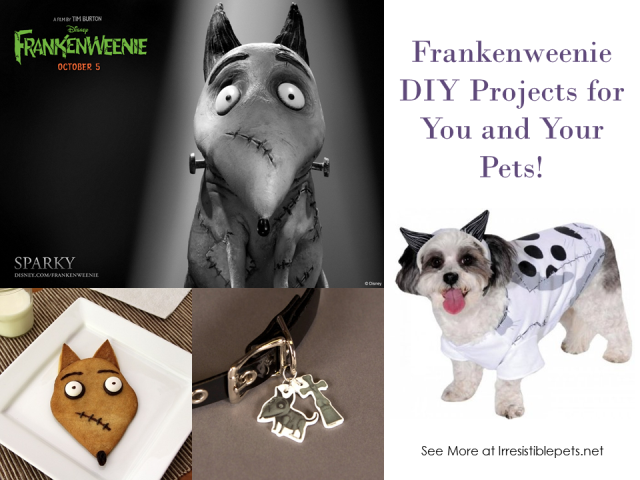 To celebrate, we are featuring some fun Frankenweenie DIY projects as part of our 31 Days of Howl-o-Ween that you can make for yourself and for the pets! Get the recipe here from Spoonful. Sorry pups, this one is only for the humans! Get the free step by step directions here from Spoonful. This is for the kids with two legs, not four! Get the directions from Spoonful. 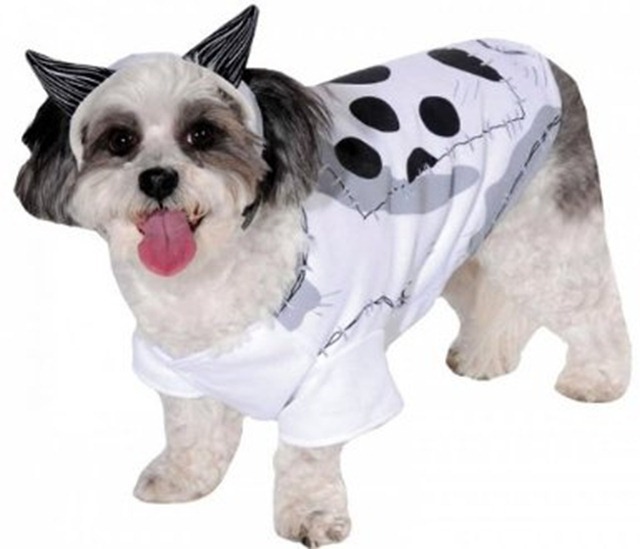 Make your pet come ALIVE in this Frankenweenie costume! 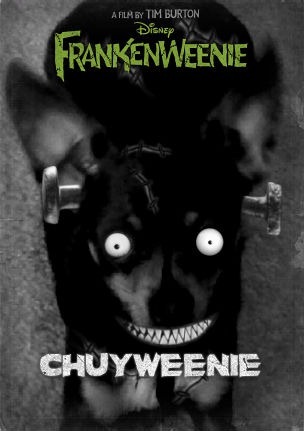 Chuy has been Frankenweenied thanks to the free app on their Facebook page! Try it out! Happy Howl-O-Ween!!! 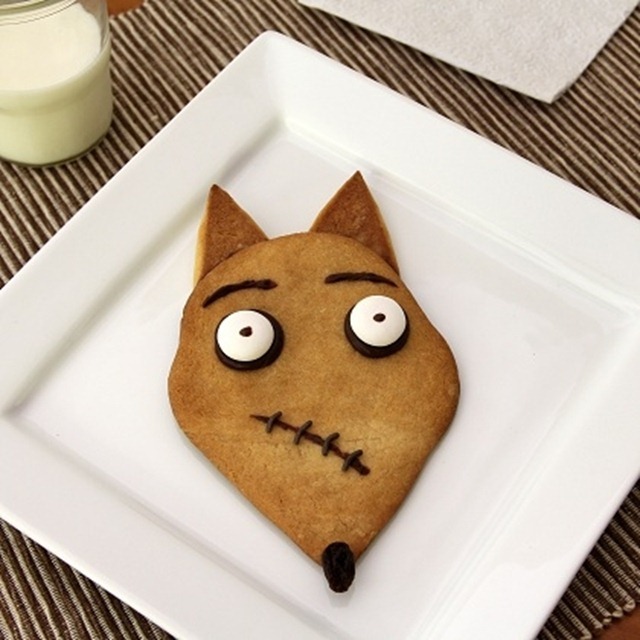 Catch up on the rest of the 31 Days of Howl-O-Ween posts here! Those are fun looking projects. these might be a bit much for her, i am afraid..but the cookies look very cute and yummy.